Tsuyoshi played the role perfectly as Natsuo Shinoda in Summer Snow. Although Natsuo's caring and nurturing natures sometimes being misjudged as an irritating habit by his siblings, he still showing his love by teaching them the most important values in life: honesty and sense of responsibility. All of his life he has been carrying a lot of burden on his shoulder, yet, he still have a soul full of spirit to help others. What a huge heart he has! In Summer Snow, Tsuyoshi is simply showing us what will exactly happen when a great actor plays a great role. For me, he is a naturally borned star! A natural borned actor with great talents in this field. All his dramas captived my full 100% attention. He can really fix himself neatly into the role and convinced the audiences with his role. All his dramas are in my top favourites especially, Summer Snow and to Heart. Other than acting, he can sing, dance, host, compose and illustrated. An all-rounder artist that worthed my support all these while. I will continue to give him my 100% full support & respect. Go, fighto... Tsuyoshi-kun! Ganbatte kudasai! My favourite actor!!!! Initially liked him in'to Heart~koishite shinitai'..however, I prefer 'Ao no Jidai' now..He's brilliant as Kindaichi Hajime as well. I think he is able to play both comical and serious roles well, he can make me laugh or cry to tears..from Kindaichi to more mature roles such as in'Summer Snow' and 'Motokare' , we can see how he has grown..and to mention that I like ( love) his voice (^_^)!! i've seen him in summer snow as natsuo-baka guy, then the cool-tokeida yuji in to heart and then came moto kare ( the icing on the cake, so to speak), this is where he just stole my pre-owned heart! lol! a very talented guy, can sing, compose, dance, draw..his creative streak is very evident in his versatile-everchanging hairstyle! the most kakoii and stylish japanese guy for me..i love him to bits! Excellent actor who draws us in with his very real and natural acting. I totally found Dohmoto Tsuyoshi very adorable and endearing in Summer Snow, although he is not your typical kakoii J-idol. Perhaps because he is so comfortable in his own skin, that we, the viewers are so comfortable watching him too. I seriously think this guy has a gift for acting, and hope to see more of his works. Naturally talented in the area of acting. Every single one of his dorama is a very captivating one. While Kimutaku has style, Tsuyoshi has the compassion that just shows in his great acting. Personally, I admire this talent wholeheartedly!! V(^0^)V He is not just talented in acting but also singing, dancing and hosting. He is our love-fighter forever!! GO GO TSUYO-KUN!!! He is a wonderful and talented actor! The fact that he is so flexible with his roles and portraying each character's emotions is amazing. In one drama, he could be a caring older brother, the next, a selfish guy who is blind to the girl who is in love with him. I like how he stylizes his hair as well! It changes in every drama! It's cute and amusing at the same time~! I believe that he is a good actor and his dramas need to be subbed more but he was great in summer snow and in to heart. I loved to heart. summer snow was also very good and school teacher i haven't seen anything that I think he is bad in. He is a very good actor. Kiki kids is good stick but his acting is much better stick with it man. I have only seen greatness! A really talented actor that really steals the spotlight in whichever drama he partakes. His works in "To Heart", "Files of Young Kindaichi", "Moto Kare", and especially "Summer Snow" make most if not all his characters really memorable. His acting makes a lasting impression on his audience. Someone who is truly talented in the acting department. An extremely good actor who is able to portray a lot of different roles really well. Even roles like vet student Mukai. He does everything naturally, that is Tsuyoshi's magic. And even if it's just a small role like ROOKIE's ending, he does it well too. And of course, I love his voice and also him as Endlicheri. Two words- Summer Snow. Natsuo was a great character. One of those characters that is just so well-written (and thanks to Dohmoto Tsuyoshi, brough to life so naturally) that you can't help but get emotionally attached and remember him forever. Whether it's comedic and dramatic, I was always enthralled. Okay, so honestly it wasn't exactly love at first sight for me with Tsuyoshi. I even wondered why he was so popular upon seeing his pics. But I did come to my senses after watching his memorable onscreen performances and hearing him sing. He's no doubt a natural born talent in many respects! Tsuyoshi's versatile in almost everything !! his acting .. singing .. and all the songs he wrote by himself .. lurve the way he perform live on stage wif his guitar ... his drama performances are perfect too ... "Kindaichi" , "Summer Snow" , "Home Drama" .. etc etc .. he's really great !! like his role in To Heart & becoz he's fom kinki kids. super talented guy who's optimistic and puts his fans before himself. he's a everything do my best person n always works very hard for his performances. thats what make him what he is today. a great guy with a positive attitude! i've seen summer snow, moto kare and i've just bought home drama because of him. he's such a great actor !!! i want to see fantastipo !! He is my No 1... i like him in acting, singing and hosting. I think he really have the talents.. hope to see more of his drama! I like him from the first Jap show that i watch, Summer Snow. This show really make me felt so touched. I loved him as Tokieda Yuji but there's more to him than only that. He acted in a lot of drama and I'm hunting it down since I've started liking him. He gives life to the characters and basically the show itself. A really good actor and singer. Love him. Dohmoto Tsutoshi is great in roles, he has been improving his acting very much these last years and his characters get special when we watch him. It gets to our heart in a special way! I also love his kind smile. ^-^ My favorite actor! He's the best! This guy is such a good actor that almost no word can describe. He acts so well in "summer snow". It's amazing how goofy he can be, but yet soo caring. Great singer also. I think Takuya Kimura and him are the 2 most popular guys in Japan today. He's so cute, so sweet, so kind to his fan, so hard-working and serious to work, so humourous sometimes, so stylish in his style, so good his voice and his acting, so mature his thought...... he's just absolute perfect! I first saw him in The files of Young Kindaichi and was just completely blown away by his acting! However I think his best drama by far is 'Summer Snow' - him and Ryoko did a fanatstic job! Tsuyo is def one of the best actors out there!!! Sugoi!!! I didn't know he was in Kinki Kids!! I loved the ED for Summer Snow! And to think he was singing too!! I love his acting and his singing!! ^u^ He reminds me of Shu-chan from Gravitation now that I look at him and Kinya Kotani!! I like him 'cause he's human. He's dorky, funny, strange and just a nice guy. I can imagine hanging out with him. He's not out to be kakkoii, just himself. 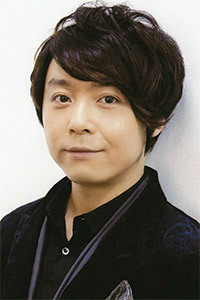 I liked him in "To Heart," "Kindaichi," "Summer Snow" and "Roshinante." I first watched him in Summer Snow..and I really like his acting..and then I watched one of his earlier dramas..Wakaba No Koro..and there's no question on his talent...really a talented actor. And he can sing and dance too!! !..